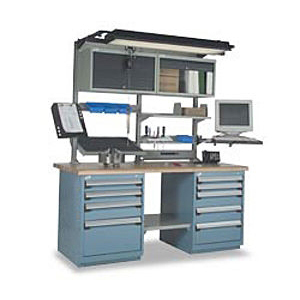 With our Modular Workbenches you make your work center exactly how you want it. With choices on everything from legs, cabinets, monitor arms, bin rails, overhead lights and tool trolley’s everything is in arms reach. From simple flat rolling work surfaces to intricate modular work centers these benches are made to adapt to an ever changing workplace. These pay for them selves quickly by letting our customers transform spaces for second shifts. There is no better way to keep all your packing supplies stocked and organized. 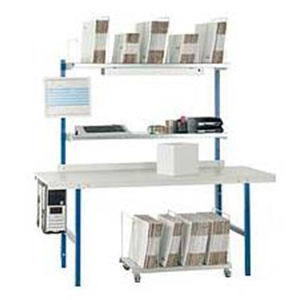 With options geared towards todays packing supplies these systems can be designed for maximum efficiency and productivity. Although our name says Warehouse Outfitters we offer so much more. 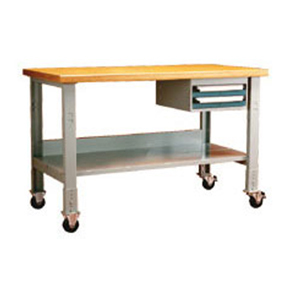 Over the years we have been known to supply many different industries custom work centers. 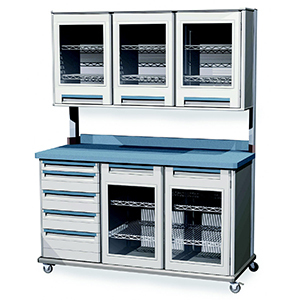 From laboratories to high tech manufacturing we will customize a work center to handle the job.